You already know that maintaining good oral hygiene is important for everyone — but when you're having orthodontic treatment, it's even more critical. Why? 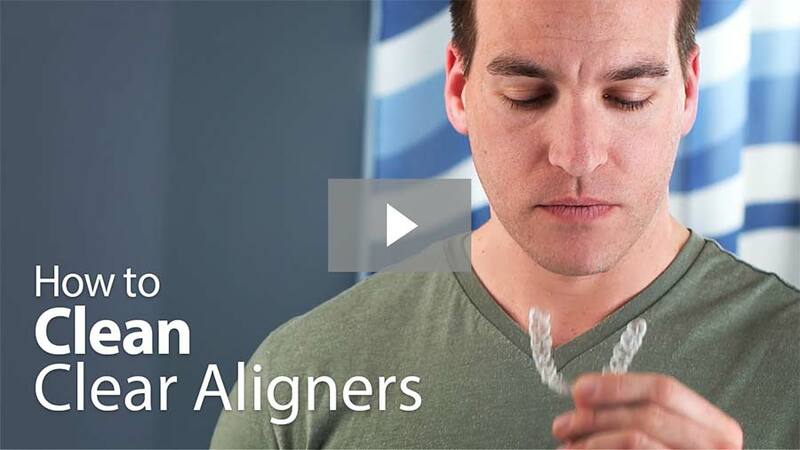 Because, while the appliances (such as braces or clear aligners) you may need to wear during treatment are very effective in correcting misaligned teeth, they can also trap food particles easily. Keeping your teeth (and your appliances) clean is a little harder — but you can do it! Here's a look at why good oral hygiene is so important during orthodontic treatment, and some tips on how you can keep it up. The major enemy of oral health is plaque. Food that becomes trapped near tooth surfaces can lead to the formation of plaque — a thin coating of microorganisms and organic debris (biofilm) containing potentially harmful bacteria. 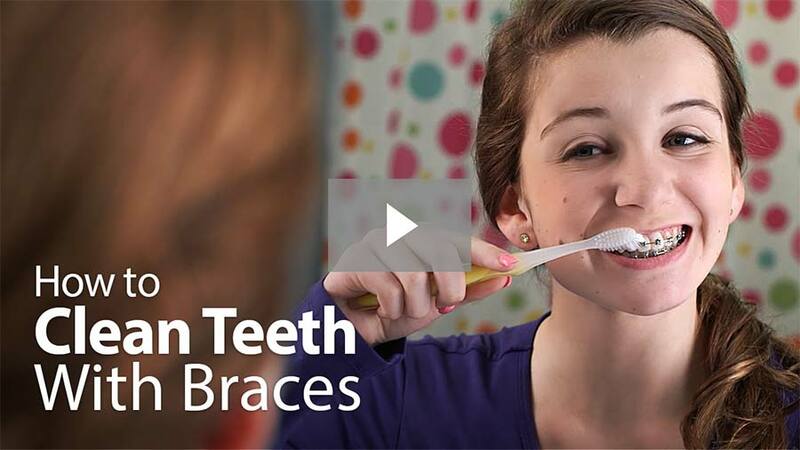 Braces or other appliances make it harder to remove plaque. The bacteria in plaque digest the sugars in food, producing acids which may erode teeth and irritate gums. This can cause cavities, white spots on teeth, gum disease and bad breath. Keeping plaque under control is one of the most effective means of maintaining strong, healthy teeth and gums. There are three general ways to do it: through diet, daily maintenance, and regular professional care. Taken all together, they're your teeth's best defense. Controlling your diet involves avoiding foods that could increase your risk of developing tooth decay. That means cutting down or eliminating foods with an excess of sugar, like soda, sweets, and ice cream. It also means avoiding foods that could easily become stuck in your braces, like toffee, gum, licorice and caramels. Foods that are very hard or extremely sticky can also cause physical damage to orthodontic appliances. 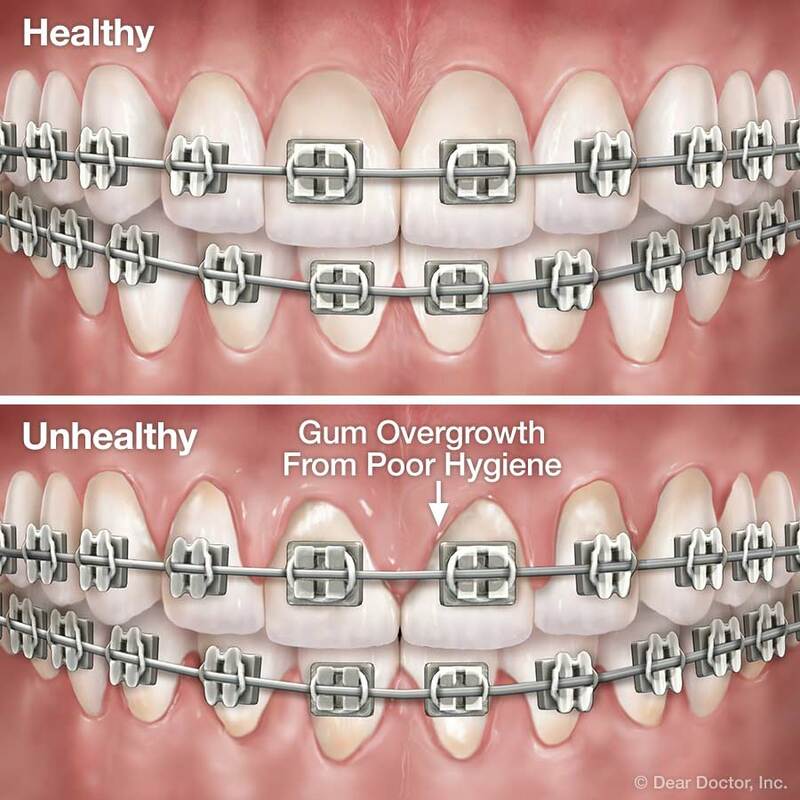 Certainly braces or retainers with broken wires or loose brackets aren't working to straighten your teeth! You should avoid foods like hard candies or nuts, beef jerky and hard pizza crust. Keep eating healthy foods like carrots and apples — but cut them into bite-sized pieces first! And don't chew on ice, pencils, or your nails: these habits can cause damage to your appliances, and even result in chipped teeth! You know how important brushing and flossing are for keeping a healthy smile — especially now that you're in orthodontic treatment. But sometimes it's harder to clean your teeth effectively around an appliance's brackets and wires. Here are some tools and tips you can try for better tooth cleaning. Either a soft-bristled or a bi-level toothbrush (one with longer bristles on the edges and shorter ones in the middle) can be effective in plaque removal — even with braces. An electric toothbrush can also be used, on a moderate setting. For hard-to-clean areas, try an interdental brush. The small bristles of this special tooth-cleaning aid, which is shaped like a pipe cleaner, can get in between wires, brackets and teeth. With gentle and persistent effort, it's possible to reach into the smallest nooks and crannies, and control plaque buildup. You should floss at least once a day during orthodontic treatment. While it's a little harder to do with braces, there are some special products available — including floss threaders and particular kinds of floss — that can help you get the floss between wires and gum line. The office staff will review proper brushing and flossing techniques with you when your braces are put on — but if you ever have questions, don't hesitate to ask! Depending on your situation, an in-office or at-home supplemental fluoride treatment may be recommended to boost your cavity resistance. An antiseptic rinse may also be recommended, to ease minor gum inflammation or irritation. If you have a retainer, it should be cleaned daily. A cleaning solution may be recommended — but never put hot water on your retainer, because it can distort the soft plastic and make it unusable! And always keep it in a case when it's not in your mouth. During orthodontic treatment, it's as important as ever to make sure your teeth stay healthy with thorough examinations, cleanings and preventive care. Your orthodontic treatment is a team effort where everyone has an important role to play. And the team has just one goal: giving you a winning smile.